The math hunt was fun. I think I will incorporate that in my lesson plans. Students need to be outside more often. Also, using native art to express math concepts was beautiful. 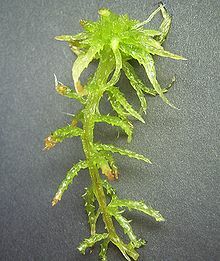 My favorite lesson, however, was the sphagnum moss experiment. When I get old and lose bladder control I got my go to… Biology today is so textbook as are all the hard sciences. What can our local plants be used for? What can the local fauna be used for? What is in our environment that is useful. That is culturally significant to all cultures in a given area. I thought Scott’s community project in Nikiski was genius! What a great project to help to build the community in Nikiski. I have never been to Nikiski but have heard from people from neighboring towns that the community there, or lack there of, has problems. Which, makes this project doubly important. A community, tribe or a clan is of the upmost importance for any human to have and, ironically, is what lacks most in our western culture. Through this project, more specifically through the community’s children, he created a seed to help this community grow. Having stories passed down from their parents and elders to the children, knowing the biology and geology of the area and writing poetry about their home are all great ways to lift up a community and bring it together. …And it was all done through a school. What potential a school has! Thanks to Alberta for helping to give us some understanding on how to invite elders into the room. It was very insightful and will be helpful for my future classes. I outlined a review of some of this in my lesson plan. Ernestine was my favorite of the guest speakers. As an aspiring writer, to me her words were golden. I lived in San Francisco and know the homeless shelters she spoke of. I knew automatically how rough of a time she must of had in some of the city’s shelters. It is amazing to see her beaming with so much light. The story she told about how she came back to Alaska to enter the writing program at the university and she thought admissions didn’t want her to enter which turned out not to be the case. She attributed it to be the part of her hurtful past. How many times I thought some people meant something derogatory when they didn’t really! I am sure we all thought that at some point. Never assume… Her words were specific, to the point and truthful even about stuff that hurts. Especially the story of her on the dock as a little girl. The first step to healing is to talk about it; hearing someone else open up with the truth helps others have courage to do the same. Tyson, your post made me laugh. Thank you! Great idea– using moss when we are older…. The culture camp sounds amazing. I grew up in Alaska– and have never learned any of those things! I would love to. And I think it is so important for Alaskans to learn how to process animals, etc., in ways that have been tested for thousands of years. I hunt and fish- but can in no way say that my techniques for filleting a salmon, for example, have been passed down to me from generations of wisdom. I think this sort of education should be available– if not mandatory– for all Alaskan kids. I loved reading your thoughts about the activities and people we experienced last week. You are so right to avoid cracking open the textbook and instead focusing on the beautiful world we have around us!